Allosaurus Claw. Fossil Replica. 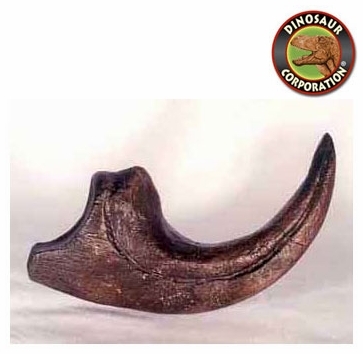 The original Allosaurus claw was unearthed in the Morrison formation at the Cleveland-Lloyd Quarry in central Utah. * Claw measures 11.5 inches from the back of the claw along the curve to the tip of the claw.